Cuarteto SolTango combines the luscious sound of traditional orquestas típicas with the verve of true chamber musicianship. 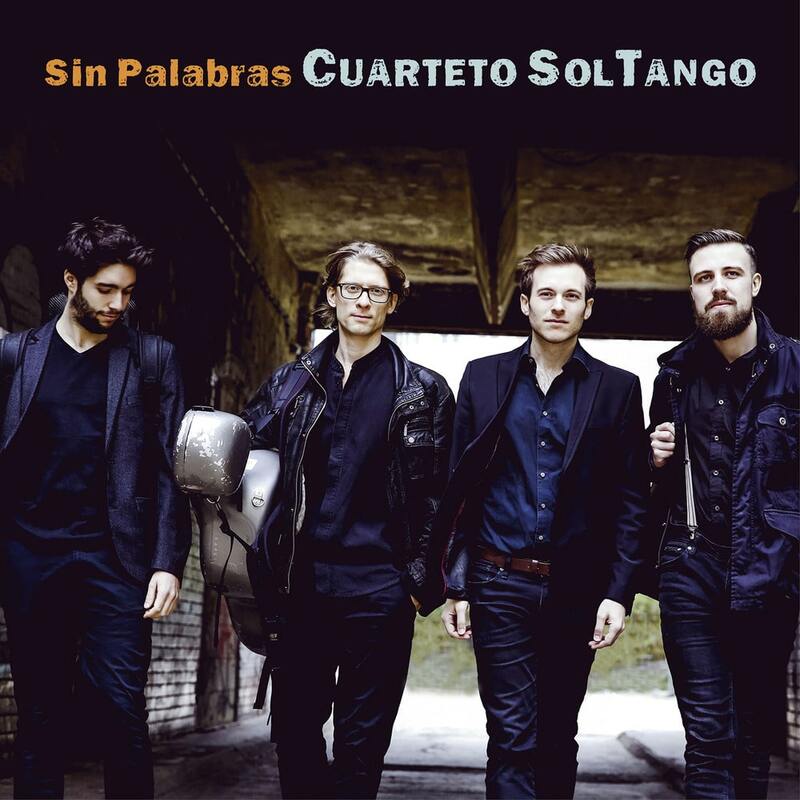 While most traditional bands performed with a singer, Cuarteto SolTango almost exclusively plays instrumental arrangements, where the melodic line snakes in between parts in all instruments allowing each member of the quartet his moment in the spotlight. The title of this album and its opening number is, aptly, Sin Palabras ("without words"). This album aims to transport the listener straight into the atmosphere of a traditional milonga ([note:] a musical evening with a special type of dance), and it is structured in tandas, all separated by cortinas. Each tango tanda is in the style of a famous band leader from the Golden Age…….. Today tango DJs play cortinas from a variety of different genres ranging from pop to jazz to classical music. In between each tanda, the members of Cuarteto SolTango present short solo or duo pieces that reflect their background as diverse and creative musicians. Collectively they bring their personal stories together to explore the rich heritage of tango.